If you’re a sports fan, you probably know better than anyone else how important it is to keep up with the latest news on your favorite team. Thankfully, gone are the days when people depended solely on TV and newspapers to stay up-to-date. Today, the best sports news—and, well, news in general—, is just a click away, so you don’t t have to wait until tomorrow’s paper to know who won today’s game. Though accessing your favorite sports stats, obscure player info, and cheap ticket prices has never been easier, it’s also become even harder to filter out what you don’t care about. So, how can you stay up-to-date on your #1 team without all the clutter? We’ve got your back. 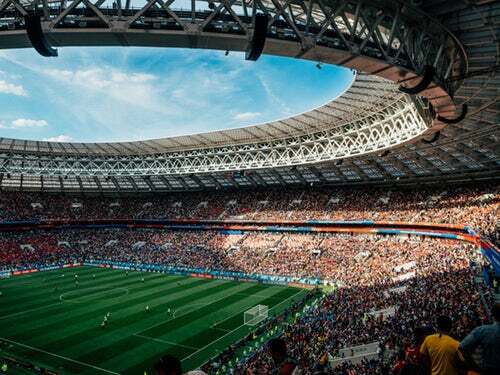 Check out this list of online platforms that you can count on if you aspire to be the first to know when and where the next big sporting events will take place. With Bleacher Report, users can get real-time alerts as stories break across the NFL, NBA, MLB, NHL, and NCAA. The app lets you pick your favorite teams and instantly see the latest news, based on your preferences. The ability to create a customized sports experience is a major advantage for all those who want to stay in-the-know about the latest rumors, news, and predictions but don’t want to be overwhelmed by info they don’t care about. The Bleacher Report app provides fans with live news, scores, schedules, stats, and standings across all of the major sports teams and leagues. Content varies from video highlights to in-depth articles and analysis, and users can even create custom streams with curated info from across the web and social. In addition to providing users with the cheapest possible last-minute tickets, Gametime will help you stay in-the-know about upcoming games anytime. On Gametime, you can see who’s playing tonight, tomorrow, this week, and this month—all right at your fingertips. 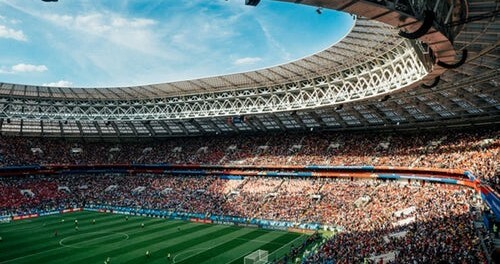 Just download the app to stay-up-to-date with the biggest sporting events near you, and rest assured that you’ll get the cheapest prices to cheer on all your favorite teams. TheScore is a mobile app you can count on for news and updates on all the major sports events. Available in both the Apple App Store and the Play Store, TheScore connects fans to their preferred sports events through an addictive combination of real-time news, scores, fantasy information and alerts. Users can customize their settings based on preferences, so that they’re notified only about selected events in real time. This app will provide you with the latest news on sports events—both regional and international. Just sign up by using either your Twitter or Facebook account, and you’ll have access to news about events ranging from soccer to golf, depending on your preferences. The app even allows you to watch live streams for the biggest national sporting events and to stay up-to-date with personalized news and score updates. So, why to choose one single app, when you can benefit from each platform’s unique perks? Whether you’re looking for real-time score updates or the cheapest last-minute tickets to games, rely on these apps and say goodbye to sports FOMO.